The Milwaukee Brewers kept their streak alive thanks to a 6-5 victory over the LA Dodgers at Miller Park last night. Clayton Kershaw had his shortest start of the postseason as he allowed 5 runs (4 earned) over 3-plus innings. Not all of it was Clayton, sloppy defense from Yasmani Grandal played a part in the Brewers early rally. The October demons haunted Kershaw tonight as he now has an 8-8 record with a 4.34 ERA in the fall. Teams that have won Game 1 of a best-of-seven League Championship Series at home have gone on to win the series 24 out of 35 times (69 percent). In all NLCS matchups, the winner of Game 1 has a 23-9 (.719) series record. When the Dodgers have won Game 1, they have gone on to win the series 18 out of 19 times. The only exception was last year’s World Series, when the Dodgers won the opener and lost Game 7. The Dodgers opened the game very solid at the start. Manny Machado hit a home run in the top of the 2nd inning which got the scoring underway. He also hit a 2-run single in the top of the 8th that helped spark a three-run inning. It gave the Dodgers life into a ballgame that was merely over by the 7th. Gio Gonzalez did what he had to do for the Brewers. He went 1 and 2/3 of an inning before Milwaukee decided to turn to their lights-out bullpen. Brandon Woodruff and Josh Hader helped the Brewers keep the lead for the vast majority of the game before the Dodgers attempted a comeback in the 8th inning. A third-inning nightmare for Yasmani Grandal helped the Brewers take advantage of the game. 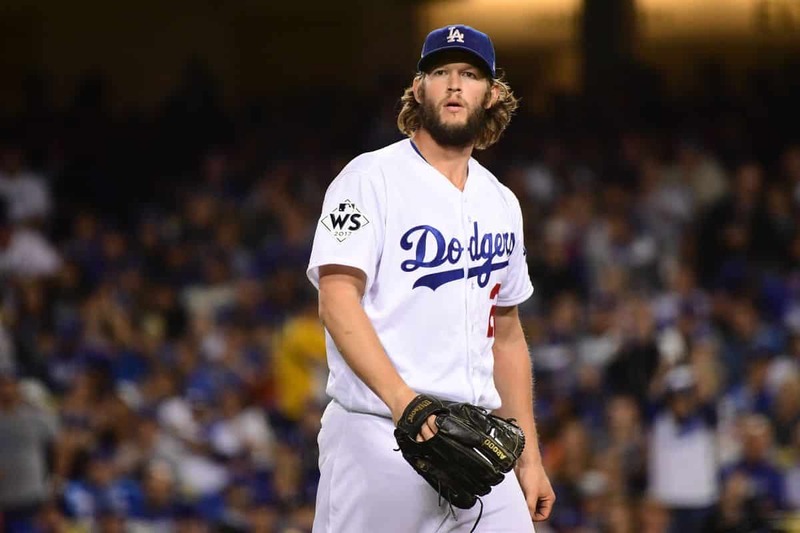 His two errors allowed the Brewers to take a 2-1 lead and they chased Kershaw when the first three batters of the fourth inning reached base (all three scored). Clayton Kershaw was also not himself today. After only needing 85 pitches to go through eight innings against Atlanta, he needed 74 pitches to go through three-plus innings against Milwaukee. Defensive plays by Orlando Arcia and Lorenzo Cain robbed Turner and Freese of hits early on in the first. However, there was nothing they could do about Machado’s solo homer. Milwaukee then responded by tying the game up on a home run. But the scouting report probably gave no indication it would come from long reliever Woodruff, a left-handed hitter who hung in there on a 2-2 Kershaw fastball leading off the second inning for the third home run of his professional career. The Brewers then went on to rally in the 3rd inning. A Lorenzo Cain single started it, a Christian Yelich walk continued it, Grandal’s passed ball advanced the runners. Jesus Aguilar then lined out to David Freese but it was waved off when catcher’s interference was called. Hernan Perez then hit a sacrifice fly but that was all for the inning as Mike Moustakas struck out. The fourth opened with a walk to Manny Pina followed by a single by Arcia that Taylor booted in left field to put runners on second and third. Then, a two-run single by pinch-hitter Domingo Santana, who scored on Ryan Bruan’s two-out single off reliever Ryan Madson. The next game of this series is Saturday, October 13 at 4:09 PM ET.